Aug 21 – 27 vs.
Aug 14 – 20 Jul 2016 vs.
Jun 2016 Jul 2016 vs.
Aug 21 – 27 – More loads were available last week for vans and reefers on the spot market, and national average rates were unchanged. Load volume and rates declined 3¢ for flatbeds, however. Many new trucking companies close their doors within the first year of operation. Why? There are a few of the common mistakes that I’ve seen owner-operators and small carriers make, and as a result I’ve seen a huge number of them close their doors before their first anniversary. Below are four of the most common mistakes a trucking company might make – plus ways you can avoid them. Running a small fleet is a daily challenge that requires patience, organization and hard work. However, some owners jump out and hire too many people to help them through this process. Hiring people is often the single largest expense for a company – in trucking, it’s usually only surpassed by fuel costs. Outsourcing simple tasks will allow you to focus on what you’re best at: hauling freight. Good examples of items that can be outsourced: back-office functions, payroll processing, human resources and marketing. You can also use a load board or a dispatch service instead of hiring a salesperson. Most of these services can be handled by experts at a much cheaper rate, while also ensuring that you meet all state and federal guidelines related to these functions. Before hiring staff members, see if your current staff is overwhelmed and often working overtime. Ask them to outline all of their tasks for the week, plus how much time they spend on each task. Ask yourself: Are these tasks essential to meeting our goals? Can we eliminate this task? Can we outsource this task? You’ll need to answer these questions, so that you don’t outspend your revenue. The “new entrant” guidelines state that all new fleets filing for DOT registration will be audited WITHIN the first 18 months. Many new entrants assume this means that they have 18 months to meet all of the guidelines before they are audited, but I’ve known many fleets that were audited on month 3 and were shut down for 30 days until they met all of the requirements. This temporary shut-down almost always results in bankruptcy. See the full list of carrier requirements at the FMCSA website. Most fleets realize that they need liability and cargo insurance, and most fleets generally meet the base guidelines. However, it’s also important to have coverage for physical damage of non-owned trailers and general liability protecting your drivers or others when the truck is not involved. Some examples: customers slipping or falling on your premises, erroneous delivery of products resulting in damage, actions of a driver at loading docks, truck stops, etc. Some fleets, based on size and type, may also need Workers Compensation coverage – too many fleets are not carrying enough in this area. Not having enough insurance has left many fleets with the inability to pay for damages. They just purchased enough to meet the minimum requirements and didn’t fully understand the long-term effects of their decisions. You need to know both the fixed and variable costs to operate your business. Fixed costs are the expenses you incur even if your truck isn’t running, like truck payments, insurance, building rent, etc. Variable costs are what you spend to move a load: fuel, tires, maintenance, etc. Starting out, you should have enough cash on hand to cover your expenses for 3-6 months, since you’ll need to cover these costs before money starts coming in. Plus, your business might not grow as fast as you expected at the beginning. Knowing your costs per mile will help you manage that cash flow. The cost per mile and other financial reports are also a good barometer for the financial health of your business. It’s best to understand your basic cost per mile based on the annual mileage and annual expenses for all of your vehicles. The simplest way to do it is divide the annual costs by the number of miles run that year. The challenge is to accurately allocate ALL of the expenses – the key reason many fleets don’t survive. All too often, new fleets do NOT take the time to understand their expenses, document their expenses, and then fully understand their cost per mile. They then accept nearly any rate just to get a load. Over time, this model gets them upside down with their cash flow. Before long, bills aren’t getting paid, drivers aren’t making the amount of money they need, and the entire business starts to collapse from within. Aug 14 – 20 vs.
Aug 7 – 13 Jul 2016 vs.
Aug 14 – 20 – Spot market rates edged down 1¢ per mile for vans and reefers last week, but load posts increased for both trailer types, so rates could be ready to rebound. The national average flatbed rate was unchanged, week over week, and flatbed load volume declined. Most years, van volumes and rates fall in July and pick back up again in August. The timing is off this year. Rates and volumes mostly held steady this past July, but loads and rates dropped off last week. We could still see another rebound in a couple of weeks. So, where can you find a load for your van right now? The top five markets for load posts on DAT TruckersEdge are Atlanta, Chicago, Elizabeth NJ, Dallas, and Indianapolis. There were more loads in Northern New Jersey last week, and Indy had a good week, too. The other three markets (Atlanta, Chicago, and Dallas) lost traction, but they are not moving out of the top 5. Darker colored states above have higher load-to-truck ratios, meaning there’s less competition for van freight in those states. The rates below include fuel surcharges and are averages based on real transactions between carriers and brokers. 43 of the top 100 van lanes saw prices go up last week, but most of the increases were small. Seattle and Denver had the biggest improvements in volumes last week. The bad news is that the Seattle average was still just $1.19/mile outbound. Also, some truckers are getting loads from FEMA this week to bring emergency supplies to the flood zones in Louisiana. That can be dangerous work, and it’s hard to find a load back out, so be careful out there. Los Angeles rates dropped to a 6-week low last week, an average of $2.07/mile. Charlotte to Buffalo rates lost ▼22¢ to $1.95/mile, the first time that lane has averaged less than $2.00 in a while. Aug 7 – 13 vs.
Jul 31 – Aug 6 Jul 2016 vs.
Aug 7 – 13 – Spot market demand dipped 6% last week, accompanied by a 3¢ decline in the national average van rate. It’s now lower than the June average, for the first time in six weeks, a transition that typically occurs in the first week of July. Reefer rates also fell 3¢, and the national average flatbed rate edged down 1¢ on declining fuel surcharges. Can Freight Brokers Help Reduce Driver Detention? When a shipper or receiver detains a truck, it can ruin a driver’s work week. The freight broker is rarely involved, but often the broker is the carrier’s only point of contact. Recent blog posts about the DAT survey on driver detention have yielded lots of comments, including sad stories, but also recommendations for brokers as well as carriers. Bottom line: When carriers and brokers work together effectively, they can help reduce excess detention and its impact. Carriers should know the ‘game rules’ in advance and notify the broker when they: 1) have arrived. 2) have been placed to the dock. 3) are approaching the end of the free time (i.e., at 60 minutes, 90 minutes, etc.). If you speak with your broker, they can help most of the time. They just don’t want to have the conflict and potential loss of income. Drivers think load by load, brokers think about overall volume from the customer. We have a standard detention policy that outlines free time, rates per hour, and necessary actions/documents to qualify for detention. Each customer has their own policy and we have to manage all these expectations to try and recover detention. What about the broker who tells you they can’t pay detention without the in and out times being stamped on the bill of lading, and the dock worker tells the driver they do not stamp bills with in and out times? We tried putting it in our contracts, but now shippers don’t want to sign our contract. They want us to sign theirs, which of course doesn’t include detention. “Like” our Facebook page to join the conversation. Jul 31 – Aug 6 vs.
Jul 24 – 30 Jul 2016 vs.
Jul 31 – Aug 6 – Prices held steady for vans and reefers on the spot market, despite falling fuel surcharges, while the national flatbed rate added 1¢. Load availability slipped, but reefer demand was up, as the back-to-school grocery season coincides with late summer harvests. DAT RateView™ is an innovative online tool that puts real-time spot market and current contract freight rates at your fingertips. Rates are based on $28 billion of actual transactions—what brokers and shippers are actually paying carriers. There are two ways to buy RateView: as a standalone cloud-based software service, or as an integrated solution on some load board packages. Trucking is tough. 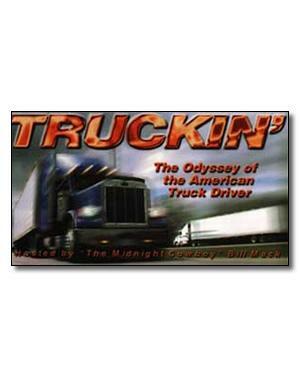 Anyone who knows a trucker is well aware of the long hours and hard work involved in providing for your family. Your truck is your livelihood, and when yours starts creeping towards the million mile mark, it’s easy to get blindsided by an engine that gives up on you. While it’s painful to be down, it’s always better to have it happen on your terms. Keep an eye out for these warning signs, and you’ll avoid getting stuck on the side of the road. Are you spending more at the pump? When your engine needs help, poor fuel economy can be one of the signs. Worn or damaged injectors can be a likely cause. Does your engine give you less? Is your truck not pulling the same? Is your top speed a fraction of what it once was? It’s possible that you’ve lost cylinder compression. Piston rings, valves, or the head gasket can cause your truck to lose its muscle. Always checking your oil? Are you constantly adding more between oil changes, fearing that you’ll run dry? Your engine might be leaking or burning oil, caused by issues with your piston rings or cylinder liner. Has the exhaust from your truck taken a different color? Blue or black exhaust tells you that you’re either burning oil or the fuel environment in your engine is too rich or lean. This can be caused by issues with your piston rings, injectors or cylinder liner. Do you have excessive amounts of smoke or unburnt fuel blowing into your crankcase? This could be caused by wear on your piston liners or an issue with the steel rings. Is your engine brake not working as well as it used to? Does going down a long hill make you more nervous every day? You could have lost cylinder compression. Piston rings and the cylinder liner could be the cause. Does something sound a bit out of the ordinary? Did the hum your engine normally produces get replaced with something terrible? This could mean that your combustion timing might be off or oil contamination. Engine knocking could be caused by worn or damaged liner seals, main bearings or piston skirt. It might be tempting to keep going when your engine is giving you these warning signs but continuing on could cause catastrophic engine failure. Listen to your truck, and avoid getting an unrepairable issue like a cracked engine block. Finding a nationally certified CAT, Cummins, Detroit, Volvo, Mack or PACCAR repair shop can help give you a quick answer and let you service your truck on your terms instead of being forced into a tough situation. Peace of mind is important to everyone, so ensure that your business keeps rolling without unexpected down time. Established in 1984, CAG Truck Capital helps customers of all credit types get the financing they need to keep their business going. CAG Truck Capital works with customers looking to either purchase a truck or finance big repairs such as engine overhauls. Jul 24 – 30 vs.
Jul 17 – 23 Jul 2016 vs.
Jul 24 – 30 – More loads were available as July ended, so load-to-truck ratios rose for vans, reefers and flatbeds. Van rates lost a penny and reefer rates dropped 3¢ per mile for the week, but flatbeds added 1¢. The big surprise: the monthly average rate for vans in July topped June levels by 2¢. Visit 2290online.com and e-file today to get your proof of tax payment, which is needed to register annually with your state. E-filing is quick and easy to do… visit 2290online.com to get started today!